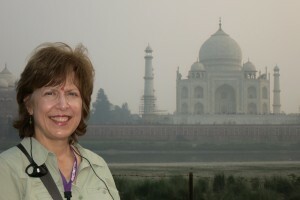 Pauline Ranieri has directed the UW Alumni Tours program for more than 20 years. Under her leadership, the program has grown into one of the largest and most successful alumni travel programs in the U.S. Prior to joining the UW Alumni Association, Pauline served as tour manager and operations supervisor with Contiki America and as tour manager with Contiki Europe. She holds a bachelor’s degree in journalism from the University of Montana. Her travels have taken her to the Galapagos Islands, all over Europe, Vietnam, South Africa, Egypt, China, Australia, New Zealand, Peru, India, Botswana, Myanmar and Zanzibar. 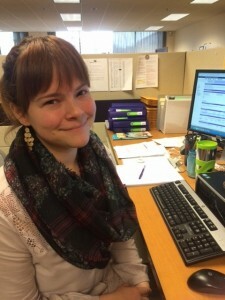 Nichole McGrew may be the newest member of the UW Alumni Tours team, but she is by no means new to travel. 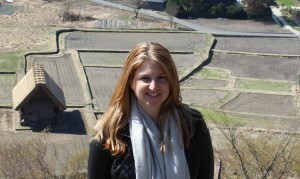 Nichole grew up in Australia and has since traveled across six continents, visiting numerous countries such as Cambodia, Japan, Morocco, Costa Rica, much of Western Europe, and beyond. As a Denverite, she worked for the Globus Family of Brands, an international tour operator as well as several companies in corporate, government, and non-profit industries. Nichole graduated from the University of Denver with a degree in International Business and brings with her 15 years of experience in operations, product management and communications/marketing. Whitney is a recent Washington transplant who has always dreamed of living in the Pacific Northwest. Prior to moving here, she lived in Arizona and was working as an Information & Assistance Specialist on the Senior Help Line where it was her role to connect seniors with much needed community service programs. She holds a B.A. in Women’s Studies from Agnes Scott College, and an M.A. in Women’s, Gender, and Sexuality Studies from the University of Cincinnati. She has always enjoyed the world of travel and has explored most of the continental United States. To contact UW Alumni Tours to make travel arrangements or with questions, call 206-685-9276 or 1-800-289-2586. You may also email us at uwaatour@uw.edu.